Simple Cajon pedal with good handling! The X-One in the Vintage Deluxe version! 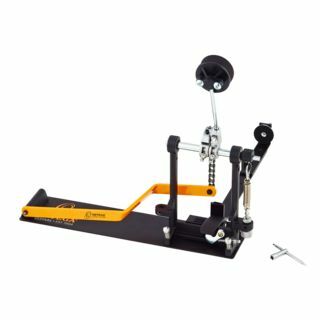 Percussion includes all percussion instruments that are not part of the basic equipment of a drum set. Most percussion instruments are played by hand, but some are also played with sticks or mallets. Nearly every culture in the world has created its own percussion instruments that are specifically tuned to the music they play. Many of these instruments are similar, but still bring their own nuances to the music. Nowadays, there is no reason why the instruments of another culture should not be used in the music of one's own culture. Thus the typical instruments of Afro-Cuban music such as shakers, cowbells and congas have been used as a matter of course in this country for many decades. Especially percussion instruments of the Asian region were relatively unknown to us not so long ago, but due to the increasing globalization instruments are "discovered" again and again, which fit perfectly to "our" styles. Famous for a great variety of percussion is the Brazilian music - a samba orchestra mainly consists of percussion instruments. Bongos and Congas are instruments with a wooden body (which is now also made of plastic sometimes), which are played with the hands. Bongos always come as pairs, congas can be played individually or as a set of two to three instruments. Often you can also see sets of congas plus bongos, with which you can cover a large range of tones. The heads are originally made of animal skins, but now there are also very good sounding alternatives made of plastic, which are less sensitive to temperature fluctuations and humidity and thus better maintain their tuning. Djembes are the African relatives of the Congas, also have a head and a wooden body and are played with the hands and fingers. Due to their special shell construction they can produce very deep and full bass sounds, but also bright accents can be set by striking at the edge. They are available in different sizes, so they can also be put together as a set. Similar to a Djembe are Darbuka and Doumbek, where the body is not necessarily made of wood, but can also be made of metal or clay. Darbuka and Doumbek can produce deep bass depending on the playing technique, but are known for their bright singing sound. 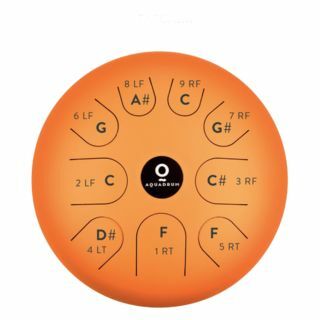 It is the percussion sound for oriental music. 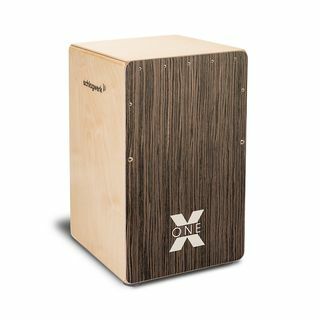 Cajons are the top selling percussion instruments because they offer fun and a great sound at a reasonable price. Originally from Peru, this versatile wooden box has found friends all over the world, because it can be used as a drum replacement, if you want to play a bit quieter, i.e. "unplugged". This is mainly due to the fact that snares are built into the body, which produce a sound that is reminiscent of a snare drum when you hit the corresponding spot. 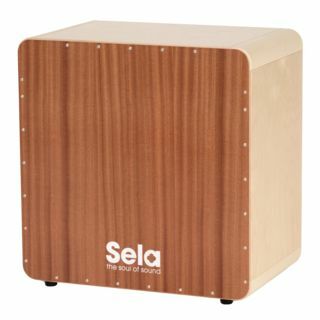 In combination with the deep sound, which is created when hitting the middle of the body and sounds similar to a bass drum, the Cajon gives you a mini drum kit that is also the drummer's seat! Some manufacturers even use shortened snare wires instead of strings in order to achieve a sound particularly similar to that of snare drums.